The used 2015 Kia Sorento in WILLIAMSBURG, VIRGINIA is ready for a new home. This SUV doesn't look like it has a few plus years on it. 136,674 miles has little meaning to the many years this vehicle has left on it. Its a v4 Titanium Silver SUV that helps make driving safer for the whole family. Interested in this SUV? Visit Williamsburg Chrysler Jeep Dodge Kia to schedule a time to test drive the 2015 Kia Sorento. If you're searching for a reliable car at the fraction of the cost, the Kia Forte fits the bill. Almost brand new, this car is the definition of contemporary design. With only 19,873 miles on it, its still ready to explore more open roads. Its a v4 Black car that is easy on the eyes and easy to drive. Interested in this car? Visit Williamsburg Chrysler Jeep Dodge Kia to schedule a time to test drive the 2016 Kia Forte. This certified pre-owned 2015 Kia Optima in WILLIAMSBURG, VIRGINIA gives shoppers more for their money. It might be older than three years, but it's style and grace is still relevant today. 71,349 miles has little meaning to the many years this vehicle has left on it. Its a v4 Silver car that makes road trips pleasant again. Want to learn more about this 2015 Kia Optima? Contact Williamsburg Chrysler Jeep Dodge Kia. This certified pre-owned 2015 Kia Sorento in WILLIAMSBURG, VIRGINIA offers drivers peace of mind for less money. Even with a few plus years on it, this SUV looks like new. Don't worry about the 52,803 miles on this vehicle; it's just starting its life. Its a v6 Gray SUV that makes room for the whole family. Interested in this SUV? Visit Williamsburg Chrysler Jeep Dodge Kia to schedule a time to test drive the 2015 Kia Sorento. The certified pre-owned 2016 Kia Sedona in WILLIAMSBURG, VIRGINIA offers shoppers peace of mind. This van is nearly brand new. With only 26,758 miles on it, this vehicle is set to explore more. It's a v6 Black van that can balance family and work. 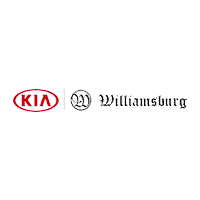 Drive to Williamsburg Chrysler Jeep Dodge Kia and test drive the 2016 Kia Sedona. The certified pre-owned 2018 Kia Niro in WILLIAMSBURG, VIRGINIA offers shoppers peace of mind. Almost brand new, this SUV is the definition of contemporary design. With only 19,739 miles on it, this vehicle is set to explore more. Its a v4 Blue SUV that defines spacious comfort. Drive to Williamsburg Chrysler Jeep Dodge Kia and test drive the 2018 Kia Niro. This certified pre-owned 2016 Kia Sportage in WILLIAMSBURG, VIRGINIA should really be considered a like-new vehicle. This SUV is nearly brand new. Don't worry about the 45,679 miles on this vehicle; it's just starting its life. Its a v4 Black SUV that has room for both passengers and cargo. Interested in the 2016 Kia Sportage? Contact Williamsburg Chrysler Jeep Dodge Kia and schedule a test drive. The used 2006 Honda Pilot in WILLIAMSBURG, VIRGINIA has aged like fine wine. This SUV's age shouldn't matter because it still drives as good as ever. 170,123 miles has little meaning to the many years this vehicle has left on it. It's a v6 Sage Brush Pearl SUV that offers drivers flexible cargo options. Interested in this SUV? Visit Williamsburg Chrysler Jeep Dodge Kia to schedule a time to test drive the 2006 Honda Pilot. This used 2011 Nissan JUKE in WILLIAMSBURG, VIRGINIA allows you to save money on a quality vehicle. This wagon doesn't look like it has a few plus years on it. Don't be alarmed about 133,643 miles, this vehicle has been well cared for. Its a v4 Sapphire Black wagon that can tackle many different terrains. Want to learn more about this 2011 Nissan JUKE? Contact Williamsburg Chrysler Jeep Dodge Kia. This used 2011 Chevrolet Cruze in WILLIAMSBURG, VIRGINIA is worth a look. It might be older than three years, but it's style and grace is still relevant today. Even with 130,278 miles on it, this vehicle has plenty of more roads to travel. Its a v4 Black car that makes road trips pleasant again. Contact Williamsburg Chrysler Jeep Dodge Kia to learn more about the 2011 Chevrolet Cruze. This used 2004 BMW 330Ci in WILLIAMSBURG, VIRGINIA is luxury for less. The way this car runs, you might think it's ageless. 97,011 miles means nothing to the long life of this vehicle. Its a v6 Red car that gives drivers more control over the road. Want to learn more about this 2004 BMW 330Ci? Contact Williamsburg Chrysler Jeep Dodge Kia. If you're searching for a reliable car at the fraction of the cost, the BMW 528i fits the bill. It might have a little more than a few years on it, but it still drives like it is new. Don't be alarmed about 100,785 miles, this vehicle has been well cared for. Its a v6 White car that makes commuting to and from work a little less stressful. Contact Williamsburg Chrysler Jeep Dodge Kia to learn more about the 2010 BMW 528i. This used 2013 Mazda Mazda3 in WILLIAMSBURG, VIRGINIA allows you to save money on a quality vehicle. It might have a little more than a few years on it, but it still drives like it is new. Don't worry about the 94,438 miles on this vehicle; it's just starting its life. Its a v4 Gray car that is easy on the eyes and easy to drive. Interested in the 2013 Mazda Mazda3? Contact Williamsburg Chrysler Jeep Dodge Kia and schedule a test drive.